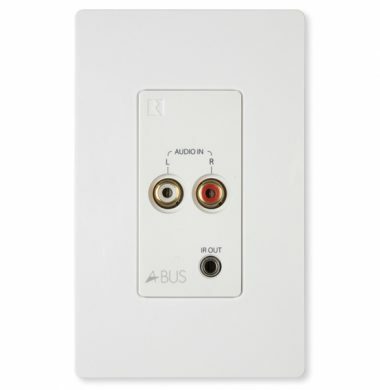 The A-LC3 Local Source Input allows you to connect a computer, CD player, or other audio source to the room speakers in an A-BUS zone. 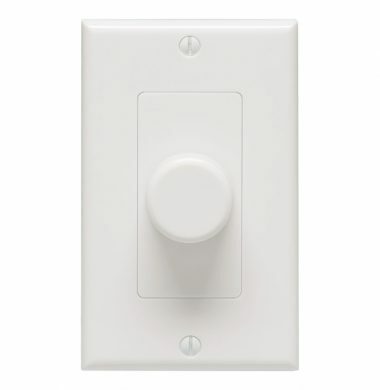 It automatically selects the connected source when it senses an audio signal. You can then use the room keypad or volume control to adjust the speaker volume while playing the local source, just as you would while listening to a source through the main A-BUS system. When used with a Russound A-K6L keypad, it will turn on the zone’s keypad. The Russound A-PS Power supply is a component of the Russound A-Bus system hubs. 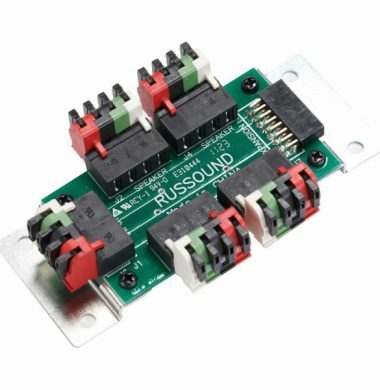 This Russound A-PS powerful high current power supply works with A-Bus system hubs to power up to 4 x A-K4 keypads. 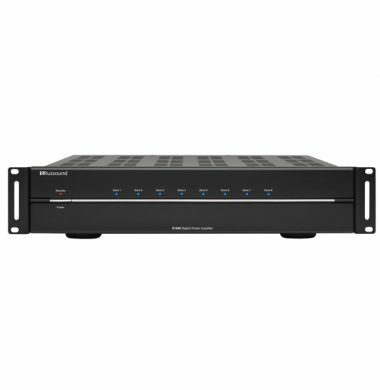 Compatible with the A-H2, A-H4, A-H4D and A-H484 single and multi-source hubs it completes the system (it won’t work without one!). This regulated power supply is designed and manufactured to work with the Russound A-Bus platform, ensuring reliable and long-lasting system performance. It is also optimized to reduce system interference or noise and maximize the system’s stable and enjoyable sound quality. Although alternate or similar PSU’s maybe be available, using them with a Russound A-Bus hub will invalidate the warranty on the product. We recommend that this high quality power supply be used for any stable and reliable A-Bus system. Remember, the A-H484 A-Bus hub requires 2 x A-PS to enliven all eight keypads! Sold with UK IEC leads/plugs. The versatile Russound AB-2.2 selector switch allows you to power a single pair of speakers with either of two amplifiers or power either of two speaker pairs with a single amplifier. 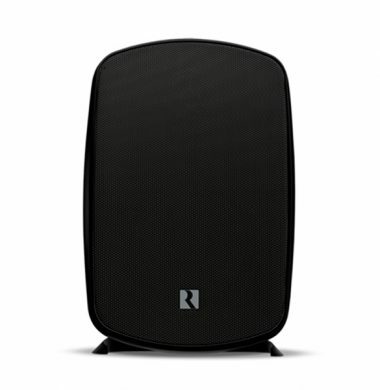 Easy to install and simple to use, it’s ideal for situations where you need a local source, such as stereo receiver, to share a pair of room speakers with your whole-house audio system. The AB-2.2 sits conveniently on a shelf or tabletop near your audio equipment. 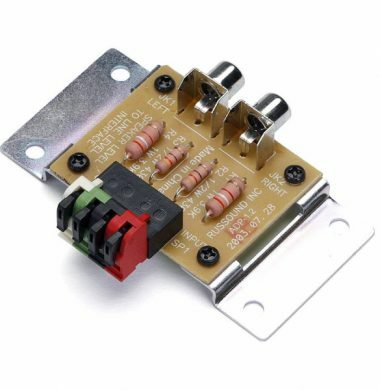 This Russound AB1.2 two-way selector switch allows you to connect and switch between two pairs of speakers from one amplifier or to switch between two alternative amplifiers into one pair of speakers. The power handling of the Russound AB1.2 is 150 Watts per channel RMS. 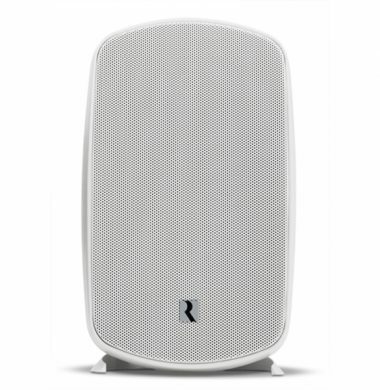 The Russound Acclaim AW70V6 70V/100V speakers are custom designed speakers for indoor or outdoor use using either 70V or 100V amplification. These AW70V6 speakers, sold as a pair are specifically designed to produce high quality, custom tailored sound for distributed audio systems. Excellent for a commercial set up or ideal for larger residences. 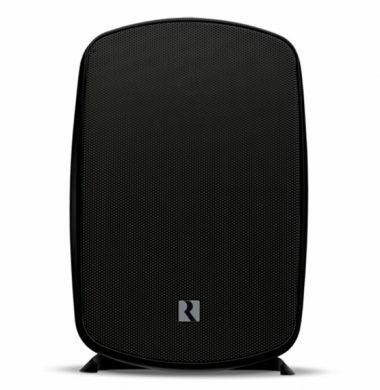 The speakers are perfect for use with Russound Commercial Series Amplifier, the XZone7, which is a high resolution digital media streaming audio system for commercial environments. In some multiroom arrangements it may be necessary to supplement a multiroom controller/amplifier in certain zones with a more powerful amplification system. Many mulitroom controller amps either have only a single line level output, eg Russound CAA66 or do not have a line level-out at all, eg Russound CAS44, to enable the addition of a power amp to achieve this. 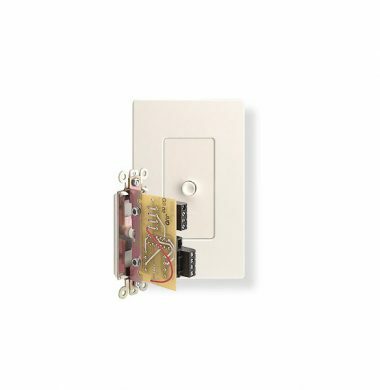 The Russound ALT-126R is a wall-mounted 126 watt, peak, volume control with a Decora-style wall plate. 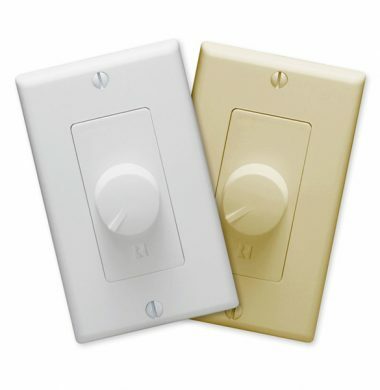 It connects between the speaker outputs of an amplifier or receiver and a pair of speakers. 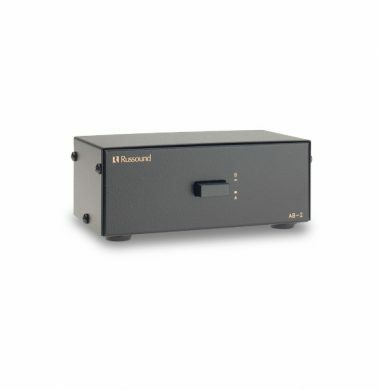 All Russound volume controls are made with precision autoformers for high-fidelity sound, excellent frequency response, no heat buildup, and maximum power transfer from the amplifier to the speakers. Introducing Russounds’ new commercial audio install range volume control the ALT-70V-50 , specifically designed for use with commercial audio systems using either 70V or 100V amplification. 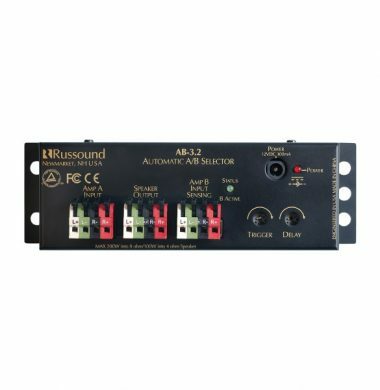 This Russound ALT-70V-50 – 70V/100V ‘Decora’ Style Volume Control is specifically designed to add local or zone audio control to any 70V system. 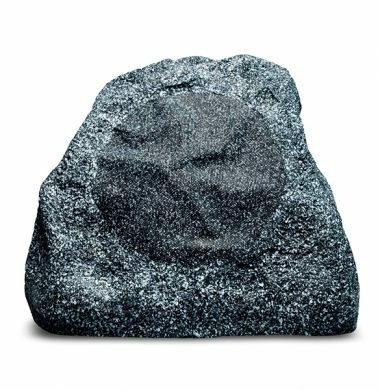 This is the perfect volume control for use with Russounds’ flexible XZone70 audio system, they will enhance any project with class defining sound control. The ALT-70V-50 has a unique make-before-break design, meaning that as you turn the knob, the volume will ramp up or down smoothly, with no breaks in the sound. The electrical connection to the next step is always made before the connection of the previous step is broken. The result: smooth sound adjustment at any volume level. 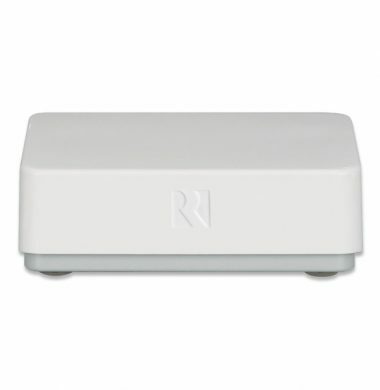 The Russound BTC-1X Bluetooth Transceiver allows you to wirelessly connect your smartphone, or other Bluetooth equipped device. 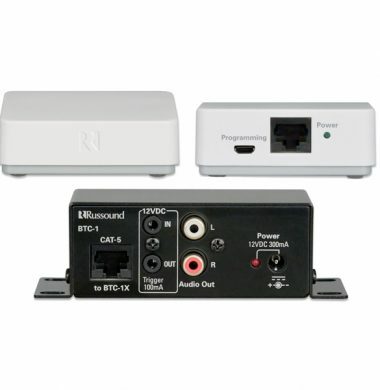 The BTC-1X can be located in the room near to your Bluetooth device will it feeds audio back to the central location via a Cat.5 to the XStream Bluetooth input on your Russound MCA. The BTC-1X also supports the aptX codec, providing crystal clear audio quality. The Transceiver can be installed anywhere and can extend Bluetooth reception beyond the normal limits (up to 90m). Using Bluetooth ‘Class 2’ and A2DP ensures high quality and device to transceiver range of up to 15m. It can even be programmed with a custom pass code and room name for easy identification, using a USB cable and a free software download. Like all Russound Local Source Modules, the BTC-1X can be set to automatically interrupt an active audio signal. 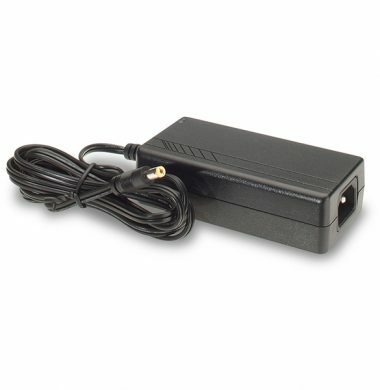 No other connections or power supplies required. Meet the all new Russound D-Series D850i 8 Channel Digital Power Amplifier. More power, more efficient, more robust…just more. This the next generation of Russound’s unbeatable multi-channel amplifier range. 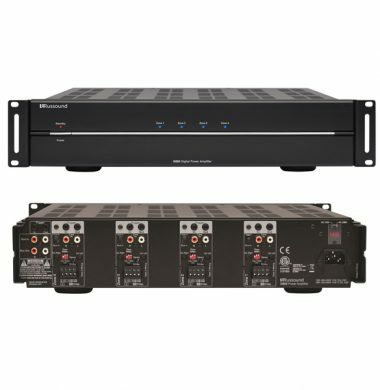 After complete redesign form the ground up,the result is the D-Series, a completely custom-built solution that has all the great features of the popular R-Series amps in a much more refined platform. 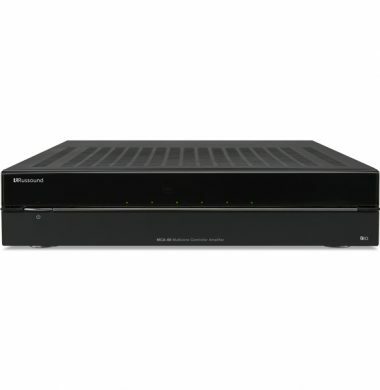 The D250LS is perfect for installations that include adding a local source to a multiroom system. 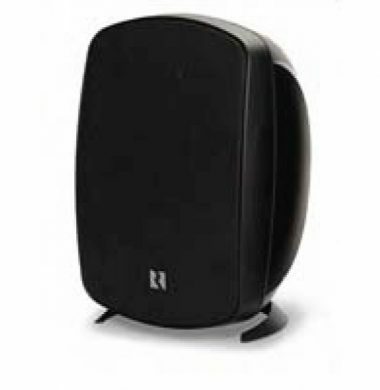 The D250LS allows the source (e.g., a PC or TV in the bedroom) to automatically override the audio playing in that particular room of a distributed audio system. When the local source is turned on, the amplifier switches the room speakers to its own output. This amplifier also provides autosensing line and amplified inputs as well as a trigger input for versatility in different applications. 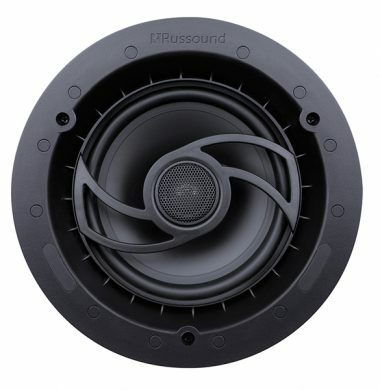 The Russound EZB-1SC speaker connecting block provides an easy and convenient way to connect up to four pairs of speakers to one stereo amplifier or power amp. 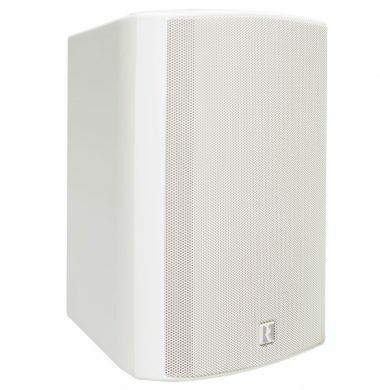 Its compact size, removable connectors, and expandability make it a must-have when paralleling multiple speaker pairs. Russound’s new MCA-66i Multi Room,Network Controller delivers six zones of stereo audio from any of six sources. The MCA-66i is a responsive and effective controller/amplifier providing distinctive and outstanding distributed audio performance, whilst whilst giving 40 watts of high fidelity power per zone. The MDK-C6 Multiline Display Keypad is a wall-mounted, US style standard fit, double-gang keypad for C-Series MCA-C5 and MCA-C6 Controller Multizone Amplifiers. 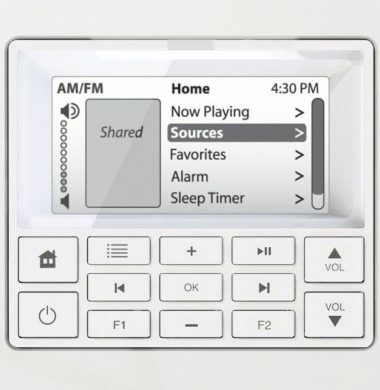 The keypad's gray scale LCD screen displays real-time information including playlist, channel, artist, song title, genre and more when used with Russound Smart Sources (DMS-3.1 Media Streamer and iPod Dock for instance), allowing easy navigation of sources and content. 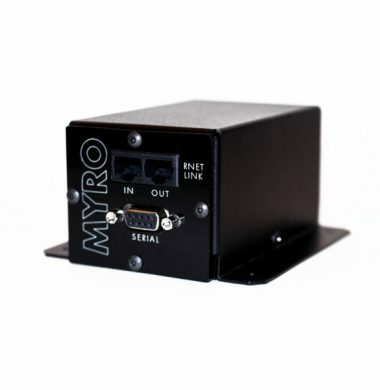 Myro:Bridge allows you to easily connect and control components like Sonos ZonePlayers, an HDMI matrix switch or iTunes on a computer to your Russound Whole House Audio System using RNET. This means it works with the Russound C5, C3 and the older CAV66.